Join us for the 2nd annual USA Track and Field certified, 13.1 mile out and back run on the paved Franconia Notch Bike Path. 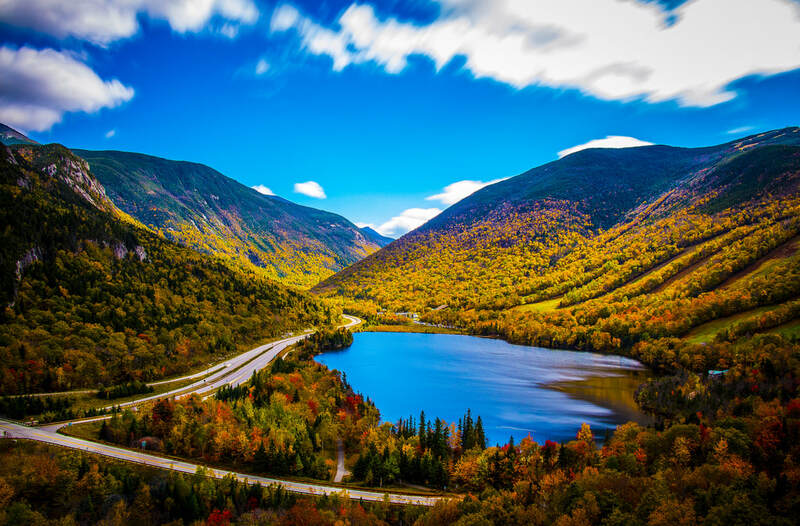 This beautiful run takes place in one of the most scenic locations in New England, passing by numerous iconic landmarks in the Franconia Notch State Park. Keep warm in the Peabody Lodge available right at the start and finish. The race will be starting at the base lodge of Cannon Mountain, then running 13.1 miles out and back on the paved bike path passing through Franconia Notch. Along the way runners pass by Echo Lake, Cannon Mountain, The Old Man viewing site, Profile Lake, Boise Rock, The Basin, and The Flume, all the while winding along the Pemigewasset River. This run not only provides runners with one of the most beautiful routes around, but also the protection from cars and traffic and shelter from fall weather. Join us by signing up now! Sign up by September 22nd to choose sizing for your race t-shirt! Top 3 overall and in each age group category win awards/prizes. Join us for a cookout after the race on the deck of Cannon Mountain Peabody Lodge starts at 11:30 and continues through awards. Meal tickets available for purchase in advance for $10. Meal tickets also available for purchase at event for $12 though may be limited supply. ​Get Racing Now is excited to host the 2nd annual Franconia Notch Half Marathon on one of the most scenic paved trails in New England - the Franconia Notch Recreation Trail. The race is hosted at Cannon Mountain Peabody Lodge. 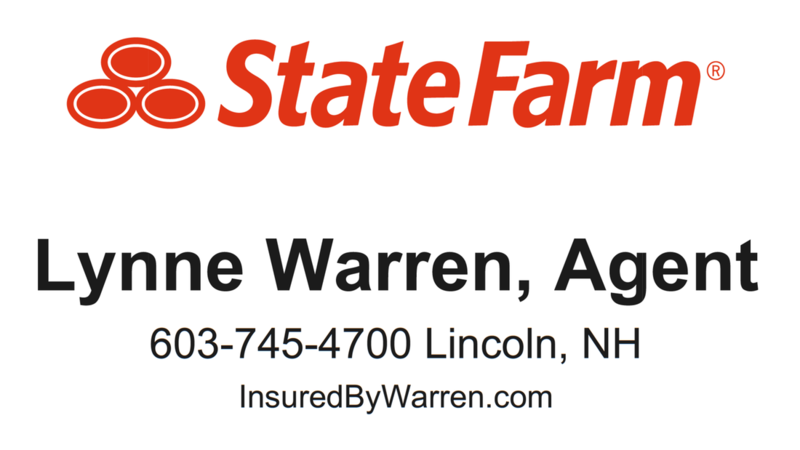 Thank you for joining us to make this 2nd annual Franconia Notch Half Marathon a success. The race is certified and sanctioned by the USA Track and Field Association. Awards will be rolling as results are tallied, with category awards occurring as early as possible. Saturday pre-race at Cannon Mountain’s Peabody Lodge (exit 34c) beginning at 7am and end 830 am. Contact race director thru this website for registration after this deadline or show up for race day registration between 7am-830am. The Franconia Notch Half Marathon utilizes the beautiful, paved recreation trail of the Franconia Notch State Park which will be closed to the public, leaving the trail just for race runners. The trail winds through stunning terrain, providing some of the best scenery in the White Mountains. You will run past landmarks such as Echo and Profile Lakes, Cannon Mountain Tramway, Old Man of the Mountain Viewing Center, the Basin, and the Pemigewasset River. Fall colors are often peak this time of year. The race finishes at the base of Cannon Mountain, behind the Peabody Lodge and lift area for a post-race BBQ and award celebration. ***The Peabody base lodge is available before and after the race to stay warm before the start and after the finish. This is an out and back course so there will be 2-way runner traffic as the runners spread out and start to return on the course toward the finish. Stay to the right at all times when there is two-way runner traffic and slower runners should yield to faster runners. There will be access to aid stations 6 times during the course at 2.2 mile, 4.8 mile, 6.5 mile turn-around, 8.3 mile and 10.9 and 12 mile marks. At the finish area there will be water, Gatorade, RXbars, and Orgain bars, bananas and oranges. PLEASE DO NOT LITTER on the course (or anywhere). The average temperature in the Franconia Notch State Park on October 26th has been 44 degrees F. The lowest temperature has been 33 degrees F and the highest 54 degrees F. We advise you to watch the weather forecast and dress accordingly. The trail is nicely sheltered by trees most of the route. ***Stay warm before and after the race in the Peabody Lodge available to racers and spectators adjacent to the start and finish. Medical staff will be located at the finish area. Volunteers at each aid station will have radio access to finish area medical staff. There is a 4-hour time limit for the course which accommodates an 18.32 minute mile. Adaptive Sports Partners of the North Country is our Official Charitable Partner, and many of their members will be on-site volunteering. Please take a moment to express your appreciation of their efforts on race day. All spectators are welcome throughout the venue. Friends and family may enjoy a post-race meal (see below). The post-race BBQ is slated to start at 11:30 am. Food includes burgers, grilled chicken or vegetarian burger, pasta salad and chips. For planning, we encourage racers to purchase meal tickets in advance for racer, and friends and family joining them. Meal tickets can be purchased at https://racewire.com/register.php?id=10172 for $10. Tickets will be available for sale at the event for $12 plus tax, but numbers will be limited and may run out. Bottled water, Gatorade, Rx Bars, Orgain bars, oranges, and bananas will also be available at the finish area. Awards will be rolling as results come in per catagory. 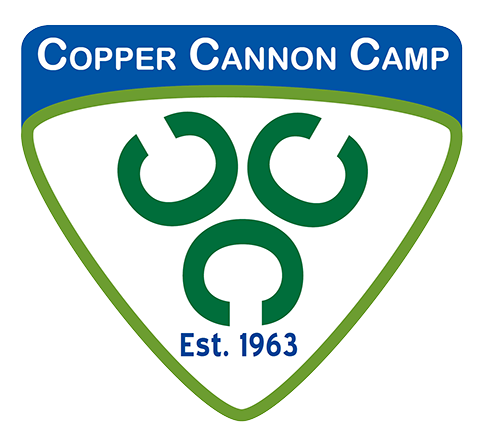 Any final awards and Adaptive Sports donation presentation will start at 1pm on the back deck of the Cannon Mountain Peabody Lodge just off the finish area. Relax, listen to music and cheer on your fellow runners. 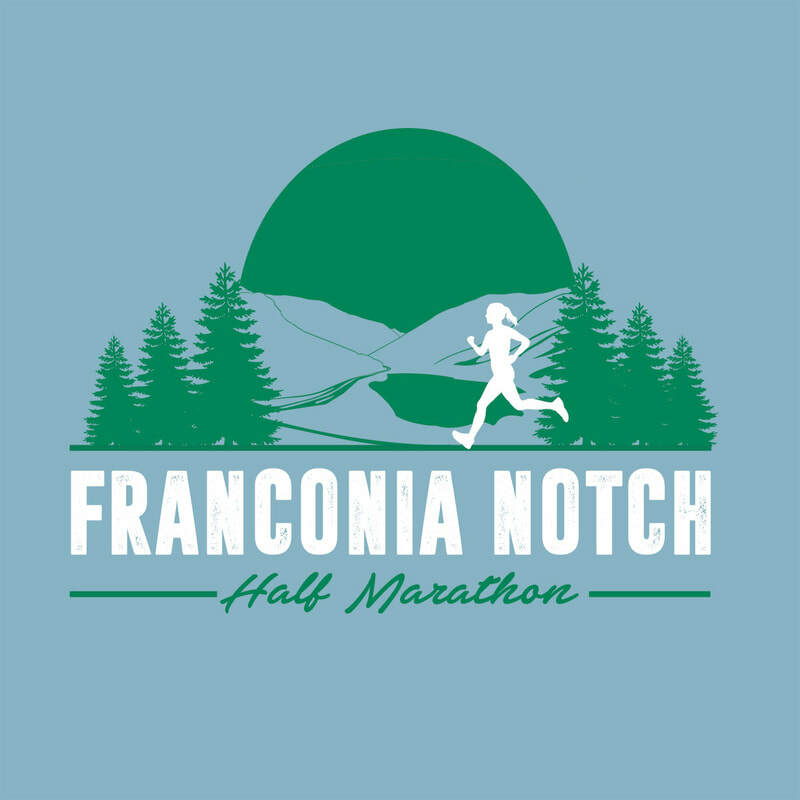 All finishers will receive a custom Franconia Notch Half Marathon finisher medal! Timing is provided by RaceWire. All individuals will receive disposable timing chips attached to their custom bibs. The race will be “chip timed” so all racer’s times will start when they cross the start line (not when the gun goes off) and end when they cross the finish line. There will be a timing MAT at turnaround point assuring all runners reach turnaround point. Live results will be available (link pending). You can also access results at terminals at the finish area. At this time all wait list registrants will be accepted into the Franconia Notch Half Marathon. We will let you know if this changes. Unfortunately, registrants who sign up on or after 9/22/18 will not be guaranteed t-shirt sizing. Get Racing Now and the Franconia Notch Half Marathon would like to thank the organizations that have helped us develop this our first and now second annual race. Spectators can stay warm in the Peabody Lodge adjacent to the start and finish..
Start and finish area ideal for spectating. The Peabody Lodge will be available for staying warm, ordering food, and relaxing while your runner is on course. For 2019 we hope to have a turnaround point camera showing live video feed in the lodge. Stay tuned regarding this option! PLEASE DO NOT DRIVE INTO LAFAYETTE CAMPGROUND AREA as this is a congested area with hikers and hiker shuttles, campers, etc. and will create congestion for runners who move through this area on the course. Park in dirt lot across the road from Cannon Mountain Peabody Lodge area for start and finish. DO NOT park in front of Peabody Lodge as this area will be coned off for runners starting and finishing the race. Parking may be limited at pullouts from highway 93 through the Franconia Notch State Park as this area will be busy with hikers and tourists. We encourage you to spectate at the start/finish, the Basin west side (accessed heading south on 93) and the Flume Gorge parking area, walking up the trail about 1/2 mile from the Flume Gorge parking lot to view runners at race turn around point. CARPOOLING ENCOURAGED TO MINIMIZE TRAFFIC. When will registration close? On-line registration will close Oct. 24th at midnight. You can though register on the day of the race from 7am to 830 am in lower level of Peabody lodge. You can also contact race director through this website to register after registration closes, but before the day of the race. Where is the start? The race starts in front of Cannon Mountain Peabody Lodge. Where do I park for the race? Ample parking is available in the dirt lot across the road from Cannon Mountain Peabody Lodge. Do not park in front of the Peabody Lodge as this is the race start and finish area. Parking sign will be posted. Can I walk this race? Walkers are welcome, but there is a 4 hour course time limit, which requires walkers to keep a pace of 18.3 minute/mile. How long will the course stay open? The course closes at 1pm. At that time, course marshals will leave the course, and all aid stations will close down. Can I run or walk with a baby stroller or my dog? No strollers or dogs allowed on the course for safety reasons. Can I run with headphones or earbuds? So that you can hear traffic and race marshals and for safety reasons, we strongly discourage the use of headphones on the course. Will there be water/aid stations on the course? Yes, we will have 7 water/aid stations positioned along the course at approximately 2.2, 5, 5.5, 8, 8.5, 10.9 and 12 mile marks and finish. Aid stations will provide water and Gatorade. Aid stations at 8.3, 10.9 and 12 miles will also have Cliff Shot Gel Razz. Will there be restrooms on the course? Yes. There are restrooms at the start and finish in the Peabody Lodge. There will be restrooms at 2.2, 5, 5.5, 8, 8.5 and 10.9 mile marks. Restrooms at mile mark 2.2 and 10.9 will have two porta potties. Restrooms at mile mark 5, 5.5, 8, 8.5 will be park restrooms. All restrooms with be marked with red sign. What will the temperature be? The average temperature in the Franconia Notch State Park on October 26th has been 44 degrees F. The lowest temperature has been 33 degrees F and the highest 54 degrees F. We advise you to watch the weather forecast and dress accordingly. The heated Peabody Lodge will be available at the start and finish to stay warm before and after the race. What prizes will be awarded? Cash prizes will be awarded to the top 3 male and female winners overall with $500 for first place, $250 for second place and $100 for third place. Overall winners will not be included in age category winners. Awards will be given to the top 3 men and women in each age group. Age groups are: 19 and under, 20-29, 30-39, 40-49, 50-59, 60-69, 70-79 and 80 and up. A special finisher's medal will be given to all finishers. Out of respect for all of the award winners, you must be present to receive your award. No awards will be mailed. Can I get a refund if I register but don't run? Sorry, once you have registered, there are no refunds or transfers. Why didn't I get a t-shirt? To choose a t-shirt size you need to register on line by 9/22/19. If you registered after 9/22/19 we cannot guarantee t-shirt sizing but will have various sizes to offer. We have ordered extra t-shirts but if registration higher than predicted we may run out. If you registered on line prior to 9/22/19 but were unable to race, you can still get a t-shirt but you need to be present at the race to pick this up. We do not mail t-shirts. Why did my GPS said the race was less than or more than 13.1 miles? Where is the best place for spectators to watch the race? See Spectator Information on this website.